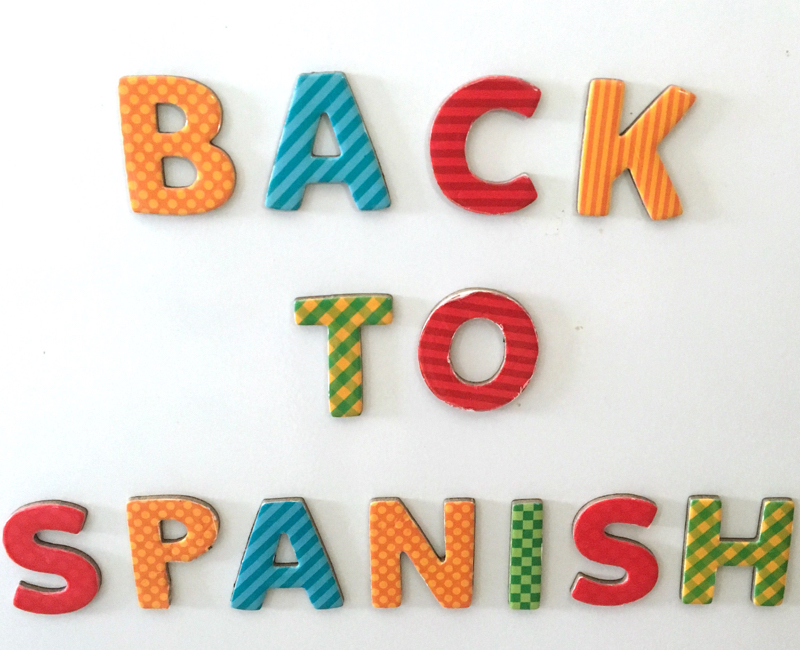 Inside: Back to Spanish Class tons of ideas for the 1st Week of School. Yes, I know it is July, but can you honestly tell me you are not thinking about back to school yet? If you are still in vacation mode, good for you. You can bookmark this post and come back to it in a few weeks. If you are like me and already have your syllabus ready, it means planning the perfect first week of school is on your radar. In the next few posts, we will be sharing tips and tricks for the best start to the school year ever. There are many ways that you could start your Spanish class. I know that each year I stress about prepping the perfect first week of school that sets an excellent tone for the entire school year. 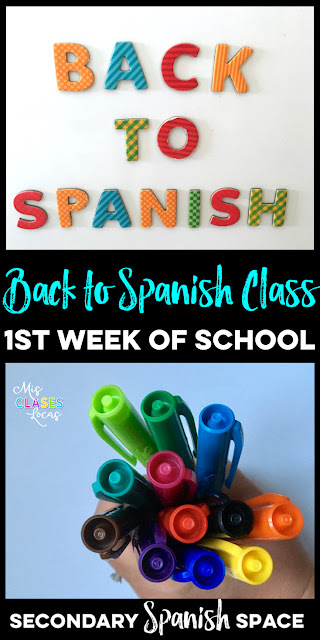 While we know there is no secret magic formula for the perfect week, I am going to share many ideas for ways to start your Spanish class on the right foot. Idea #1 - Get to know your students! Knowing who is in your classes is imperative to the success of the year. Here are a few ways to help you get to know your classes, while staying in Spanish! Name Game Speedball - My go to name learning game is speedball. Check out how to play it here. It works perfect for the first day of a novice class and practicing my name is. ¿Quién soy yo? (Who am I) banners - With Emilie's Who am I banner (Island Teacher) students practice basic phrases, teachers get to know their class, and you get instant decorations for the room! Who are you? - Interpersonal Activity - This activity would work with any level of students, depending on the differentiation, and helps students get to know each other. Ice Breakers - Community building is such an important part of language class. If students do not feel comfortable with their classmates, they are not very likely to speak a new language with them. Here are 10 Beginning of the Year Ice Breakers and Games from Elisabeth and a few more ice breakers to try out. Build Relationships - This post from Sra. Cruz details many great ideas to build relationships the first days of Spanish class. Have a Tomatina "fight" - Instead of a review unit, this year my Spanish 2 is going to start with a mini cultural unit on La Tomatina, which occurs on August 30th this year. As a part of it, we will build relationships with a food fight, meaning we will do the activity "snowball fight" with red paper. Students will write something about themselves in Spanish, crumple it up, we will have a Tomatina food fight, and then read the statements to figure out who is who and find out more about our classmates. Special Person Interviews - Give each student special attention by starting Bryce Hedstrom's Personal Especial Interviews. You can see here how I have implemented them in class. Break Down Stereotypes - Use this first week as a way to break down foreign stereotypes using this post from Sherry at World Language Cafe. Talk about your summer - Let students practice their past tense in Spanish with a Find Someone Who, while learning about each other. Syllabus - Instead of the teacher reading the syllabus, students read through it in their own and write questions or takeaways on a big piece of butcher paper. Student Information Form - This could be a Google form or paper survey that allows you to find out more about the interests, strengths and concerns of your students. Photo Booth - Start the year on a positive notes with pictures to remember it. You can create a backdrop with a dollar store table cloth with fun props, or make an Instagram Photo booth. I allow students to use their phones and post pictures with our class hashtag, or if that is not allowed you could have a designated photographer with a school camera. These pictures will make for great decorations or discussion material later. Set Up Learning Management System - Stations are a great way to get through all of those start of the year logistics. Post the sign up code for Schoology or Google Classroom. Once in the system, you can then have the other tasks posted as well, such as the google information form or electronic syllabus. You can also have students sign up for other online programs they will be using such as Sr. Wooly, Duolingo, or creating a Spanish class Twitter account. Proficiency Puzzle - Have students work in groups to learn about proficiency levels with a proficiency puzzle. It helps to build background vocabulary such as "interpersonal," and "novice low," and sets the foundation for class. Interpersonal Speaking - For level 2 and up, students could be given speaking task cards, to get their language skills flowing again. This is a great way for the teacher to listen in and see what baseline the students are at. These could even be recorded for the teacher to listen to a later time. The first week of class if the perfect time to put whatever organization system your students will be using in place. If you are using Interactive Notebooks, make sure to check out Emilie's tips for starting Interactive Notebooks. If not, it a great time to teach your students about organization, and maybe set up a binder. If your school is 1:1, make sure students know how to effectively organize digital files for your class, or any other organizational strategies that they will find useful during the year. We have to remember that we are teacher, and were probably the organized kids in school, but not everyone has that trait and may need some support getting started. If you are still looking for more ideas, here are some posts with full plans for the first week(s) of Spanish class. Also, do not forget to check out the Secondary Spanish Ebook that many of our Secondary Spanish Space authors are a part of. It has 26 Freebies and tips for the whole new school year!. 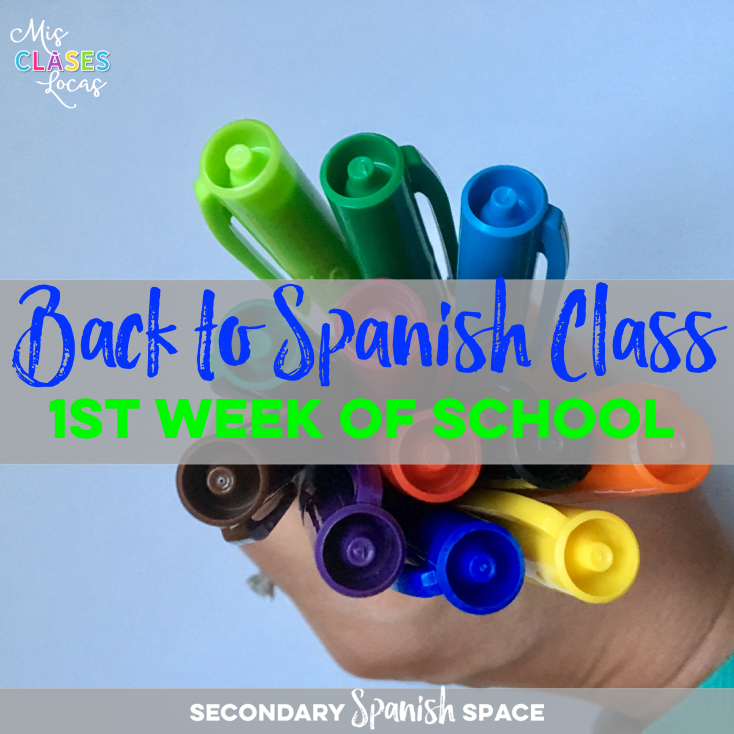 Make sure to keep checking back each Tuesday with more posts in our Back to Spanish Class series! I came back from my vacations and I am ready to start planning my first unit with my classes. However, my creative juices are not flowing:( My Spanish 3/4 read Cajas de Carton during the summer. I want to start the first couple of weeks going over the book but I am not sure how. I would like for my students to present the book to each other. One idea was to have corners with each chapter and let students choose their favorite chapter. Then they will have three or four options for them to present the chapter to the class. What do you think? Any ideas or suggestions?